Britain is ill, and even as the opportunists and populists scramble before the hardened negotiators of the European Union over imminent exit, revising optimistic forecasts and notions of sovereign greatness has begun. 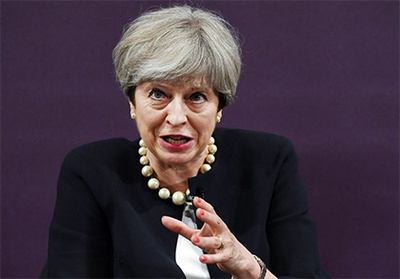 Within Theresa May’s decaying state comes yet another economic disaster, and one that has prompted a revival of government assistance before the vicissitudes of the market. This, from a Tory government extolling the divine nature of free market enterprise. Carillion, the UK’s second biggest construction company, is in a mammoth pickle, one to the tune of £1.5 billion. It has gone into liquidation after the weekend failure to reach agreement with lenders and the government, a fact that literally threatens up to 20,000 jobs within the country, not to mention pension funds to the value of £600m. Things get even more interesting when one sees where these jobs are, located across a range of industries from defence, health, transport (the HS2 high-speed rail line comes to mind) and education (notable here is the provision of dinners and cleaning for hundreds of schools). In short, the company was something of a poster boy in the outsourcing agenda of government, golden boy of the competitive, tendering process. The situation for the company has been so notably stricken as to prompt an emergency Cobra meeting by May’s Cabinet lasting for up to two hours. Cabinet Office minister David Lidington suggested with usual understatement in the face of imminent catastrophe that matters had gone “pretty well” given that “people were turning up to work” and no “reports of serious interruption to service delivery” had been received. Lidington’s language is that of a session at your MP’s surgery: dull, medicated, non-committal. Most of all, there is no sense of alarm. The meeting, he continues, provided an “opportunity for ministers to test what sort of concerns are being expressed and decide how we should best address them”. To date, the government has committed its first notable transgression against its self proclaimed free market ideology: covering the dues for small businesses and employees connected with Carillion’s public contracts. The disastrous conduct of the golden boy must be somehow addressed. Did anybody see this coming? The situation last summer was already providing smoke signals of danger that all was not prudent on the financial side of Carillion. The books were simply not tallying. The company had issued profit warnings, largely triggered by overrunning costs regarding the Midland Metropolitan Hospital in Sandwell, the Royal Liverpool Hospital, and the Aberdeen bypass. Notwithstanding these concerns, ideology prevailed: the company still received £2bn worth of contracts. It was too big not to, being the fundamental face of outsourcing. An export guarantee issued on July 6 even went so far as to put £130m of taxpayer funds at risk. This is the Thatcherite sin of Britain, government prostrate before the private provision of services, the state indifferent to accountability. In May’s declining Britain, even receiving a half-credible, resourced public service from any sector, is a doomed challenge.